Lincoln Certified, GREAT MILES 10,505! Nav System, Heated Leather Seats, Satellite Radio, iPod/MP3 Input, CD Player, Remote Engine Start, Onboard Communications System, INFLATABLE REAR SAFETY BELTS, ALL-WEATHER FLOOR MATS SEE MORE! Leather Seats, Heated Driver Seat, Back-Up Camera, Hybrid, Satellite Radio, iPod/MP3 Input, CD Player, Onboard Communications System, Aluminum Wheels, Remote Engine Start, Dual Zone A/C, Smart Device Integration, WiFi Hotspot, Heated Seats, Heated Leather Seats. MP3 Player, Keyless Entry, Steering Wheel Controls, Child Safety Locks, Heated Mirrors. SELECT PLUS PACKAGE BLIS (Blind Spot Information System), cross-traffic alert, Navigation System Note: Also includes SiriusXM Traffic, and Travel Link, Service not available in AK/HI, INFLATABLE REAR SAFETY BELTS, ALL-WEATHER FLOOR MATS. 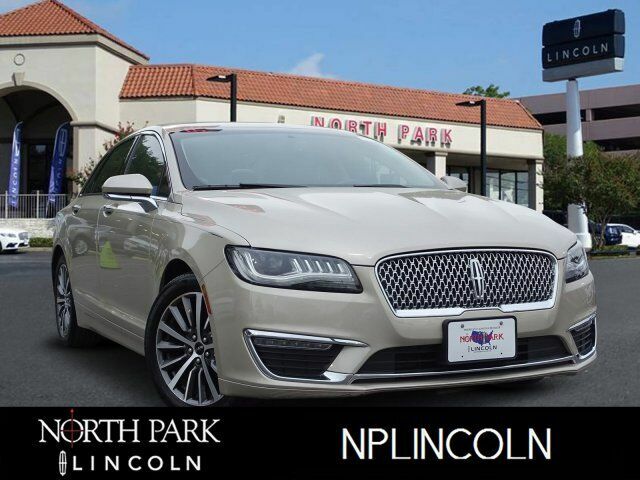 2017 Lincoln MKZ with Palladium White Gold Metallic exterior and Cappuccino interior features a 4 Cylinder Engine with 188 HP at 6000 RPM*. CARFAX 1-Owner Meticulous 200-Point inspection by factory trained technicians, The confidence of a 6-year/100,000-mile comprehensive warranty coverage, Luxurious by standards, Certified by Ours, Complimentary 24/7 Roadside Assistance, The Assurance of a vehicle history report, 24-Hour Customer Assistance, Several Warranty Upgrades Available The MKZ feels more exclusive than a Lexus ES 350, more distinctive than a Cadillac ATS and more affordable than a loaded Mercedes-Benz C-Class. -KBB.com.